Will Rufus and Lily learn the truth about Scott? That's one of the things we will soon find out in "Rufus Getting Married." Scott and Georgina in "Rufus Getting Married." Chances are this episode is going to mean big things for both of them - and not necessarily good ones. Another picture of Carter (Sebastian Stan) and Serena (Blake Lively) in "Rufus Getting Married." What do you think the future holds for this hot couple? 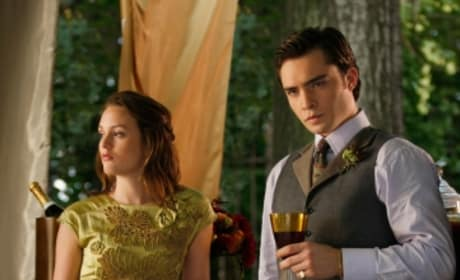 Chuck and Blair in "Rufus Getting Married." 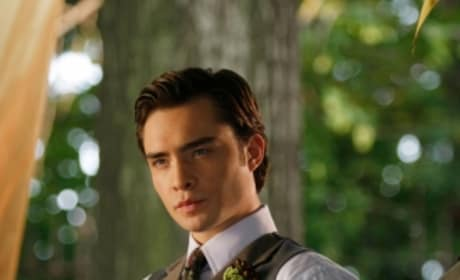 Maybe one day Chuck and Blair will get married themselves. Just wishful thinking. Chuck really looks like the man here. He always does, don't get us wrong. But particularly in this picture. Serena and Carter in "Rufus Getting Married." Are these two going to be together for much longer? A lot may hinge on what G has up her sleeve. Serena (Blake Lively) gets ready for the wedding in "Rufus Getting Married." Her mom is set to marry Dan's dad. So cool. Bree and Nate in "Rufus Getting Married." What's to become of this relationship? And what's her deal with Carter? 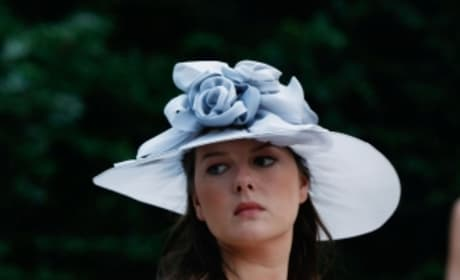 Dorota attends the wedding in "Rufus Getting Married." As she should. Because Dorota rules. 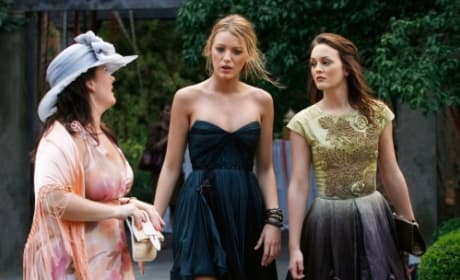 Blair and Serena in a still photo from "Rufus Getting Married." It's the fifth episode of Season 3. Serena, Blair and Dorota in "Rufus Getting Married." Will Rufus actually get married, or will something get in the way?